A classic reborn for today's musicians and collectors. The 1960s and 1970s are considered to be one of the most innovative periods in the history of music. Many sound concepts of this pioneering time are currently being rediscovered and are regarded as a great enrichment - particularly in the digital audio world. The interplay among studio technologies of different generations forms the basis of unprecedented freedom for new sound experiments. An icon of that era which was decisive in helping to shape the sound of the 1970s is the Neumann U 47 fet. As the transistorized successor of the U 47, it permitted the processing of very high sound pressure levels for the first time, for instance allowing positioning directly in front of loud amps. Due to this feature, and the capsule sound derived from its famous tube-based predecessor, the U 47 fet contributed to many legendary recordings of the time. packaging, and an individual certificate with the serial number of the microphone. 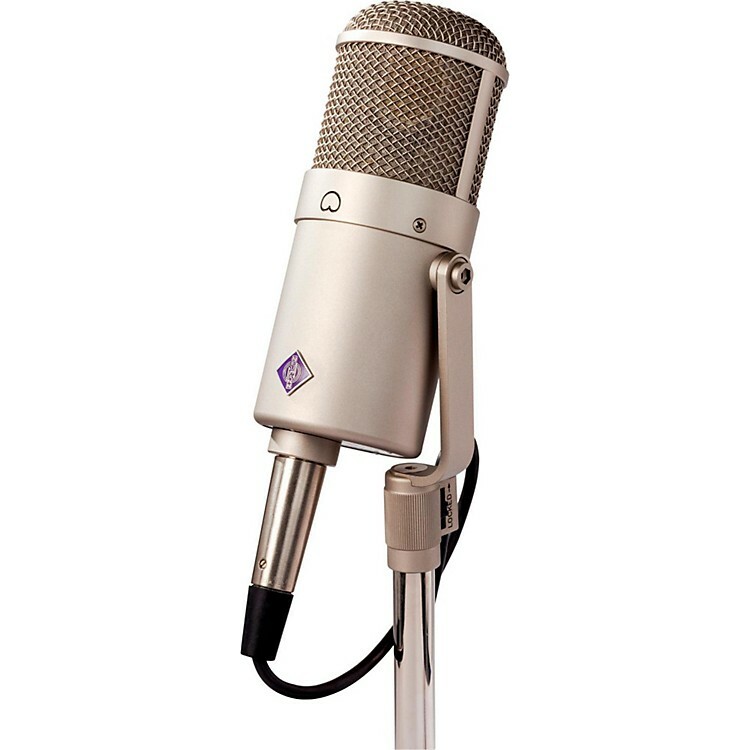 In terms of technical design, the U 47 fet is a large-diaphragm condenser microphone with a cardioid directional characteristic and fet 80 circuit technology. This technology, also used in the U 87, is characterized by a wide dynamic range. Like it's predecessor, the U 47, the U 47 fet employs the K 47 capsule which features a slight boost in the frequency response above 2 kHz. If required, a switchable low-cut filter raises the lower cutoff frequency electronically from 40Hz to 140 Hz, and switchable attenuation can reduce transmission levels by 10 dB. In addition, to prevent overloading of the connected preamp, the output signal can be reduced by 6 dB via a switch on the bottom of the microphone. L x W x (D): 10.2" x 4.8" x 4.1"
If you're serious about your sound, then this is a must have for your mic locker.